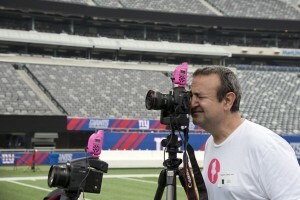 Photographers looking for a way to show support for families affected by breast cancer get ready to bid! The Pink Plus III will add a bit of color to your photography gear while showing support for the Carey Foundation for families affected by breast cancer! All proceeds from the auction will go directly to the Carey Foundation for women with breast cancer. These limited edition of the popular PocketWizard Plus® III radio trigger made specifically for Bob Carey and the Tutu Project. 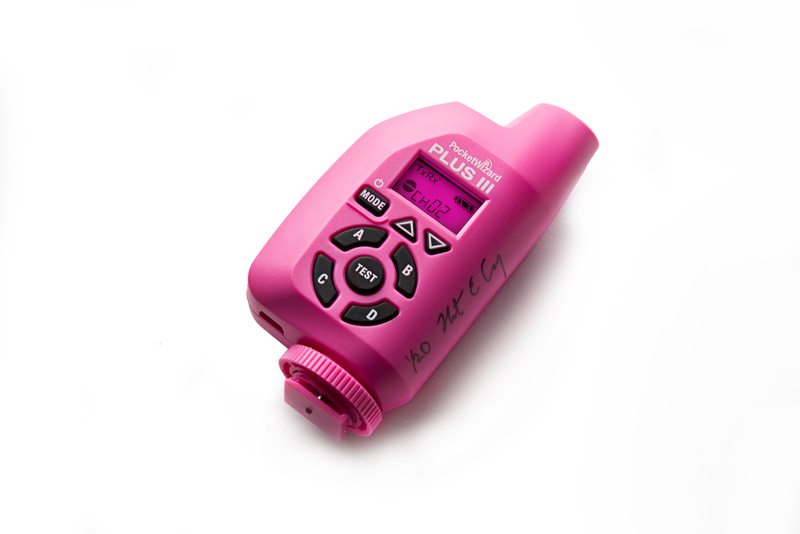 These fully-functional Plus III radios feature “Tutu Pink” plastic and even have a pink LED backlight. Limited to only 20 radios, these will be signed and numbered by Bob Carey, and auctioned off to support the Carey Foundation, a 501(c)(3) charitable organization. Bob Carey has been using these to take the world-renowned self-portraits seen in The Tutu Project. Click here and bid to help families battling breast cancer! The Plus lll Transceiver is the most reliable, feature-packed, easy-to-use solution for remote flash and camera triggering available. The Plus lll is an Auto-Sensing Transceiver which means it will automatically switch between transmit and receive as needed and is reverse-compatible with all PocketWizard radios, making it the perfect addition to existing gear. Whether new to remote triggering of camera’s and flashes or a top professional pushing gear to the limits, the Plus lll’s reliability, simplicity and performance make it the perfect tool for the job. Visit us for more information on the PocketWizard Plus III. 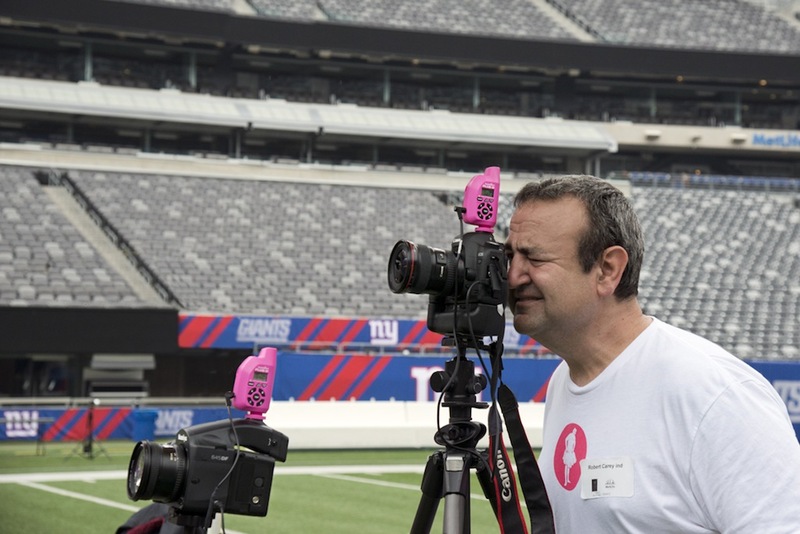 The first Pink PocketWizard Plus® III auctioned live at our anniversary event raised $750 for the Carey Foundation!